Get more done while we manage your phone calls. Our 24-hour live operators are trained to manage your calls and more. Services to fit your needs. Great insight and attention to detail. Our live answering service work to exceed your expectations. Quickly forward calls to be professionally serviced off-site. Agents refer customers to a location based on specific criteria. Our system manages and stores broad range of information. Agents quickly and easily access vital information. End-to-end solution for caller or internet inquiries. Caller receives requested materials. Verbal verification recorded with the caller for accuracy. Following your predetermined protocols, agents will pre screen your calls. Have voice messages transcribed & forwarded to you in real time. Receive your messages in the format you prefer like text, email, fax, page, voice mail. Daily maintenance guarantees accurate information and reporting. Access information from clients all over the world. Obtain callers information and quickly use your online forms or process to complete intake. Our agents are trained to use many popular applications. We can even train them to use yours! Personnel in constant action and transit need error less communication. Our professional answering services provide 24-hour live operators that are trained to manage your calls and more. Excellent service! Great people to work with! The staff were all so helpful and knowledgeable, it made the whole process very easy for me and our people!! The staff is amazing! They're very friendly and knowledgeable. It's always a good experience. Great service and extremely knowledgeable team that help every step of the way and at all times. I would recommend them 100 times out of 100 over any of the other services we have ever used in the past. Whether you need a voice after hours or when call volume spikes, we got you covered. Choose the level or service that’s best suited or your business. Certain calls taken up precious bandwidth? We make it easy for you to get the calls that matter the most. Missing important calls when you go home? Live answering service agents manage all your calls when you leave. Never miss another call, Ever. 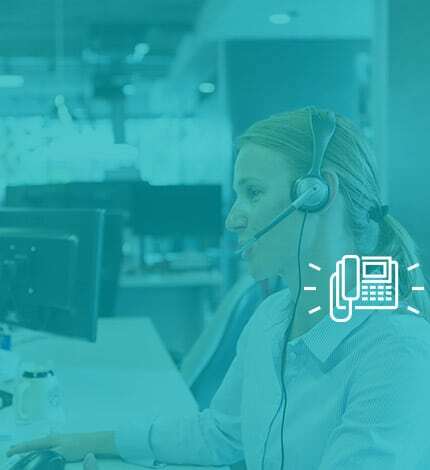 Our live agents are ready to support your team when call volume spikes. Rest assured that your clients’ calls are in good hands around the clock with our customer service team. Whether you need a voice after-hours or when call volume spikes, we got you covered. Choose the level or service that’s best suited or your business.